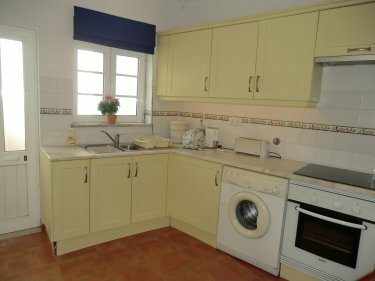 Lovely 2 bedroom village house. 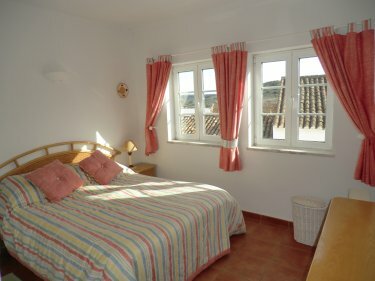 Our pretty 2 bedroom village house is situated in the heart of the traditional Portuguese village Budens and is perfect for anyone looking to explore the �Wild West� side of the Algarve, with numerous fantastic beaches (including surfing beaches) all within a 10 minute radius. 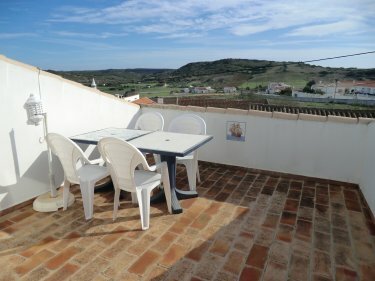 The property has a wonderful sunny, south-facing roof terrace with views over the village and of the beautiful landscape of the Costa Vincentina Natural Park beyond. An ideal spot for some private sun-bathing or to enjoy a drink. 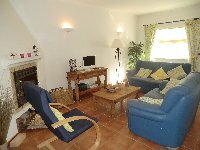 The house comfortably sleeps 4 people (extra people can be accommodated � please ask), with 1 bedroom with a double bed and a 2nd bedroom with 2 single beds. 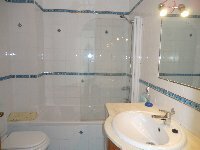 There�s a bathroom upstairs, plus a 2nd toilet on the ground floor. 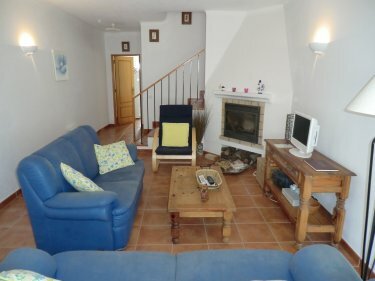 The comfortable living room leads through to the well equipped kitchen, with a little patio area for barbequing. Although a car is not essential, it is a big bonus if you wish to discover the local area. However there is a bus stop just around the corner, with a regular bus service to Salema, Sagres and Lagos. All amenities are close by. 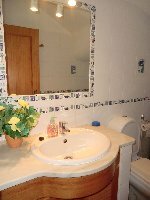 There�s a great little restaurant just over the road, plus several other restaurants and cafes in the village and there�s a large supermarket (Intermarch�) with a caf� with free wi-fi just a couple of minutes walk away. Parque da Floresta golf resort and spa are about a 20 minute walk away (or a 2 minute drive). They offer golf, tennis, bowling and spa treatments. 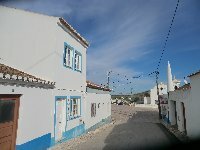 Budens is a large village situated half way between the vibrant, historic and very cosmopolitan town of Lagos and surfing mecca of Sagres, both only a 15 minute drive away. A visit to Cape St. Vincent (known as 'the end of the world�) is a must. It�s Portugals equivalent to Land�s End in the UK. The village of Budens sits slightly inland, in the middle of a peninsula, with superb surfing beaches 10 minutes drive in one direction and unspoilt, sheltered south-coast beaches just a few minutes drive away in the other direction. So whether you are looking for safe, sandy, calm beaches to paddle on with the kids or rolling surf, both are virtually on your door-step. July + August - �500. The property is not available for rent during the winter (from October to April). The preferred changeover day is Saturday. This may be flexible, especially in early or late season. Check-in is not before 2.00pm and check-out is at 10.00am unless otherwise arranged.